Our Advisors are ready to help you select the right stairlift. Hello, I’m Lee Kissock, Owner of Stairlift Specialists Ltd.
As a small family firm based in Liverpool with no high pressure sales people, Stairlift Specialists have an outstanding reputation for looking after our customers. We’re pleased to offer a complete line of the finest battery-powered stair lifts for both residential and commercial use. We fully understand that a lack of mobility can significantly restrict the full use of your home. Our stairlifts are for anyone who finds difficulty going up and down their stairways again and again each day, and our range of new, reconditioned and rental stairlifts contribute to the peaceful flow of everyday life in any household. We aim to provide a caring solution for our customers to enable them to enjoy greater independence and more active and comfortable lives. Our ‘in house’ stairlift engineers are highly skilled and have many years experience, and we believe provide a service second to none. Our engineers cover most of the north west area of England, and we have a large number of satisfied customers in Blackpool, Southport, Blackburn, Liverpool, Knutsford, Chester, Manchester, Salford and Wigan to mention a few. 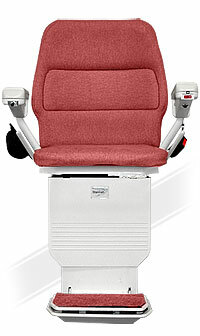 Latest models of new Straight Stairlifts supplied and fitted with Full Warranty. Does your staircase bend? We can design and fit a brand new Curved Stairlift ideal for you. 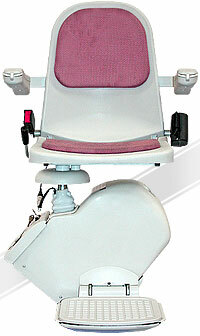 Reconditioned Stairlifts supplied and fitted from all the popular manufacturers with warranty. 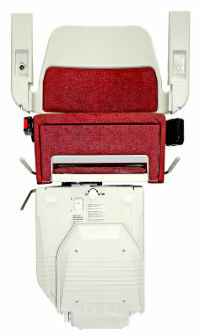 Rental Stairlifts are available for short or long term hire and include installation to your home. Stand Up Stairlifts supplied and fitted from all the popular manufacturers with warranty. Outdoor Stairlifts for access to balconies, steps to your home, steps to your garden.